Want a relaxing getaway on a perfect tropical island? 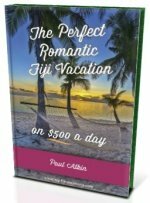 Chances are, you'll find it in the Mamanuca Islands, the paradise archipelago of Fiji! If you come to Fiji and venture off the main island of Viti Levu, chances are you'll come to one (or more!) of these gorgeous islands. You're almost there! Your much anticipated island accommodation is but a short transfer from your arrival at Nadi International Airport. Sea -If you are staying on Malolo Lailai then it's Malolo Cat takes you there (shown on map below). For all other islands, the standard option is with the Yasawa Flyer ferry. It's route includes most islands in the Mamanucas. 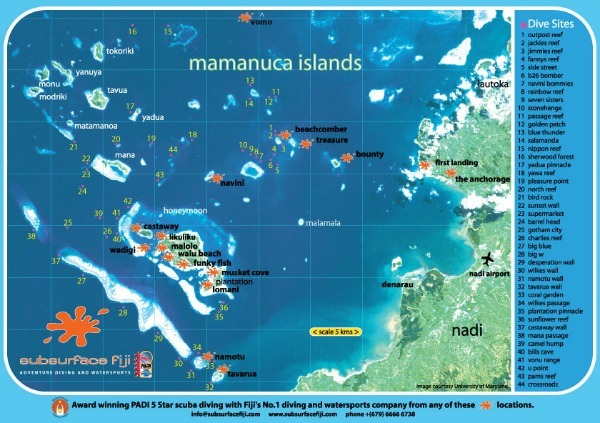 Those travelling at night and don't want to stay in Nadi overnight, or just with some cash to burn, a 24-hour private water taxi (Mamanuca Express or Sea Fiji) is on call to sort you out. In most cases, you will be leaving from Denarau Marina on Denarau Island, a 20-minute trip from Nadi Airport. In the odd case, a similar length trip to Vuda Marina, just before Lautoka, is needed. Check upon booking. This a quick trip, no more than 15 minutes each way. Sometimes you may have a choice of two. 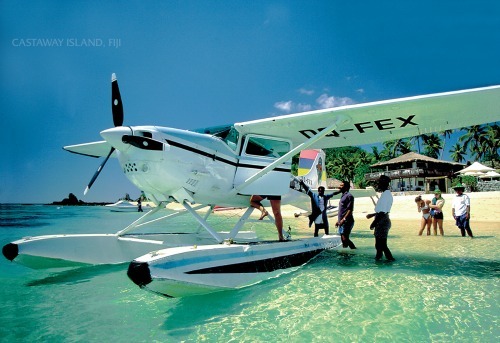 All air transfer options can leave from Nadi Airport, which is rather convenient. An air transfer and water taxi is quicker, whereas, a ferry transfer is more economical. Usually you would be primarily staying in one location, with perhaps boat trips organised by your resort. However, the Yasawa Flyer is your ferry option for hopping on and off islands as it's route takes you through the Mamanucas and further on to the Yasawas. Visit the Transport in Fiji section for all your transport information. You are coming to the Mamanucas to stay at your exotic island resort. If you need anything, like sunscreen etc, best bet is to purchase it either in Nadi or at Nadi International Airport on your way through. There are next to no options outside your resort on the islands. Leave your watch, ipod, laptop etc behind. You need a break. You've come to getaway and relax, enjoy the sand and clear waters that nature provides. The Mamanuca group interactive map showing you Mamanuca accommodation options amongst other things. Over time, this will fill out to include activities, cruises, etc. Luxury couples, family, and budget beachside accommodation are all waiting for you in the Mamanuca Islands. Below are the featured accommodation, which you'll also find on the map above. Scuba diving is a highly attractive activity in Fiji. It can be booked through your resort.